Do you want to enjoy 300% MTN bonus on all recharges from N100 and above? In this article, I will show you how you too can enjoy this bonus offer (MTN Awuf4U). You will get 300% of any amount you recharge on MTN starting from N100. That is; if you recharge N100 you will get N400. You also get 200% bonus when you recharge less than N100. You can use the bonus to call any network in Nigeria. You can also use it to send SMS to any network in Nigeria. SMS is limited to 75 SMS per week. You are also entitled to make calls to 8 international destinations at a rate of 66K/S. Calls within Nigeria are made at a rate of 45k/s (N27/Min). This offer is not limited to MTN Pay AS You Go (PAYG) browsing. You can use your bonus to browse the internet at a normal PAYG rate. 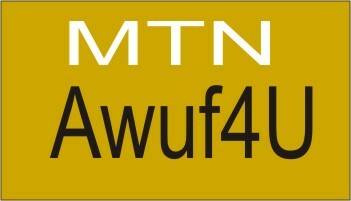 To get MTN Awuf4u bonus, follow this procedure I am going to show you now. When recharging your phone, load the pin with this USSD code; *888*pin#. If you want to recharge N100, send the pin in this format: *888*000000000000000#. They will credit your account with the amount you recharged and an extra 300% bonus. It goes like that… To check how much bonus you will receive, add 300% of the amount you recharged and your airtime amount. For airtime below N100, add the airtime amount and 200% of the airtime. The bonus and airtime is valid for 14 days. If you didn’t finish your airtime after 14 days it will become zero. It is important to write down the date you recharged your phone, so that you will know when it will become invalid. You can check your bonus by dialing *556#. You can also check it by dialing *123*1*3#. Either of the methods will show you your account balance and bonus balance. Note: In order to get this bonus, you must load your airtime with this USSD code; *888*Pin#. If you load it with *556*Pin# you will not receive the 300% bonus. When it comes to bonus offer, one of the questions people usually ask is “who is eligible for the offer”. This MTN Awuf4U bonus is unlike other MTN bonus offers which require one to opt in for one plan or the other before one can enjoy the bonus. Everybody, no matter the plan you are using, is eligible for the bonus. All you need to do is to load your airtime using the USSD code mentioned above. This bonus offer is mostly for people who make a lot of calls. We also have an article on how to get cheap MTN data plans.